Are you in the market for quality 2010 Saab 9-3X Base GAS 2.0 L 4 Transaxle Automatic 6 repair parts? Perhaps you are looking to replace a faulty or defective parts, but just can't seem to find a competitive price? Look no further than Saab Parts Cheap for hugely discounted factory 2010 Saab 9-3X parts that won't compromise your vehicle's functionality. 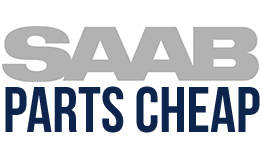 Whether you are a committed Saab enthusiast, or simply need to get you vehicle back on the road as quickly as possible, we have the genuine Saab factory parts you need to get the job done.